A day in the life of a person with Type 1 diabetes includes finger pokes for blood sugar checks, counting carbs and insulin injections. But, it hasn’t always been that way. Nancy Churchill Lowell, Providence Medical Group’s Certified Diabetes Educator (CDE), tells us how far we’ve come in the treatment of diabetes and how Providence can help you – whether you’re newly diagnosed or have been living with diabetes for a while. Our cells need energy to survive. Our body turns carbohydrates into sugar and uses insulin, a hormone produced by the pancreas, to feed the sugar to our cells. People with Type 1 diabetes – formerly called insulin-dependent diabetes – are born with the gene that causes the disease. Then, an autoimmune event, like a virus, triggers the body to attack the pancreas until it no longer functions. Without insulin to feed sugar to our cells, the sugar builds up in our blood and leaves the body in our urine. As a result, our body doesn’t get the nourishment it needs and we run the risk of serious health issues – like blindness, kidney disease, stroke and even death. You’ve probably heard of Type 2 diabetes, too. It’s commonly referred to as adult onset diabetes or non-insulin-dependent diabetes. It’s a little different. The exact cause of Type 2 diabetes is unknown, but researchers believe being overweight and inactive are contributing factors. With Type 2 diabetes, we might have an insulin deficiency. But, the bigger issue is that our body develops an insulin resistance. Sometimes, patients with Type 2 diabetes can take oral medicines to stimulate the pancreas or improve cells’ sensitivity to insulin. People with Type 2 diabetes aren’t usually immediately insulin dependent. In fact, many patients can manage the disease with lifestyle changes like diet, weight loss and exercise. People with Type 1 diabetes need insulin to make up for what their body no longer produces. But, insulin wasn’t discovered until the 1920s. How did patients cope with diabetes before then? The short answer: not very well. Children rarely lived more than a year after diagnosis. Adults sometimes lived 10 years and dealt with complications like blindness and loss of limbs. My interest in diabetes came from my grandmother, who was diagnosed with the disease in the 1940s. Medical providers didn’t understand the relationship of blood sugar to diabetes at that point. And, certainly, we didn’t have home blood sugar testing like we do now. Instead, patients like my grandmother tested the sugar levels in their urine several times a day. The measurements weren’t precise, which meant her insulin doses probably weren’t, either. But, people like my grandmother, who tested faithfully and stuck to a strict diet and eating schedule, maintained relatively good health well into their senior years. It wasn’t until the 1970s that home blood sugar testing supplies came on the market. What an incredible change for patients. Development of these testers and other easy-to-use supplies like the insulin “pen” delivery system provided people with diabetes greater control and more flexibility in the daily management of their disease. Today, patients who keep their disease under control by practicing good home care and who have ongoing relationships with medical providers like endocrinologists and Certified Diabetes Educators seldom face complications like blindness or loss of limbs. Why? Because diabetes is a manageable disease. As a certified diabetes educator and registered dietitian, I help newly diagnosed patients understand how certain foods affect their blood sugar. But, there’s so much more. Along with teaching about wise food choices, I also talk to new and existing patients about blood sugar testing and testers, insulin pumps and the importance of a daily routine in keeping their diabetes under control. 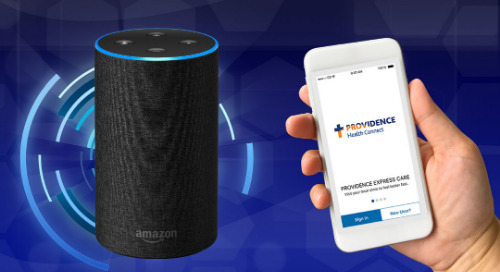 If you are a Providence Medical Group patient and you think you could benefit from diabetes education, ask your primary care provider for a referral to my office. Nancy Churchill Lowell is a registered dietitian and certified diabetes educator. She started at Providence in 1983 as part of the diabetes and nutrition program. In 2013, she joined Providence Medical Group and works with patients throughout the county at clinics in North Everett, Mill Creek and Monroe. Her services are referral based, so be sure to talk to your primary care provider or endocrinologist if you think you could benefit from her expertise.